With the presence of Earth Day and the start of spring, April is a popular month for mobilization in the green movement. The future of the real estate industry has a lot to contribute towards reducing humanity's impact on the environment. Homes use a lot of energy and by reducing how much they use, we can be more gentle on the earth while lowering how much money we pay toward lighting, heating, cooling and more. Additionally, the way our communities are constructed and what services are offered within it can affect whether we even have the option to pursue other modes of transportation, like light rail, buses, even biking or walking. Read on to find out about how Minnesota communities are working towards creating a greener world. The Community Partners Bike Library, a bicycle loan program in the Twin Cities, is back for its second year — with more bicycles, more volunteers, and another $110,000 in funding. The program provides free six-month bicycle rentals to low-income adults. Organizers see the program as a way to share a love of bicycling, along with its health and transportation benefits, to people left out of the mainstream bicycling community. This year, the program aims to reach 200 adults from April to September — 50 more than last year. A plan to expand urban farming in Minneapolis has received final approval from the city council and Mayor R.T. Rybak. The Urban Agriculture Policy Plan opens the door for farmers to use public land for commercial farms and create a true local food economy in the heart of the Twin Cities. It also recommends incorporating urban agriculture into the city's long-range planning efforts. As part of the plan, the city will review its land inventory to look for places to grow food. This Old House magazine recently published its fourth annual list of North America's most timeless neighborhoods from each of the 50 states. Minneapolis' Prospect Park was chosen to represent Minnesota. House hunters and residents alike delight in Prospect Park's mazelike streets, which are lined with trees planted nearly a century ago and homeowners' pristine gardens. "In Minnesota, we're serious about our gardens, and in Prospect Park you can ratchet that up quite a bit," says Joe Ring, longtime resident and historic preservation committee chair for the Prospect Park East River Road Improvement Association. Sandwiched between the University of Minnesota campus and the border of twin (and rival) city St. Paul, this neighborhood has loads of character—and characters. "People here have an exceedingly unique mentality," Ring says of a community that celebrates its political and economic diversity. "If you want a debate," he adds, "come here." Loved by students and professors because of its proximity to the University of Minnesota, the Prospect Park neighborhood of Minneapolis is well-known for its "Witch's Hat" water tower and beautiful vintage homes. In fact, of the nearly 800 dwellings here, an astounding 92% are considered contributors to Prospect Park's historic integrity. Nineteenth-century Stick Victorians can be found neighboring mid-20th-century bungalows, many of which feature original architectural elements. Fully restored 2,000-square-foot homes can be found for less than $400,000, while bargain hunters may find deals as low as $150,000 for a 1,200- to 1,500-square-foot house in need of some work. It's Friday, a day to cast away seriousness and daydream a little. How about a $6.5 million daydream? 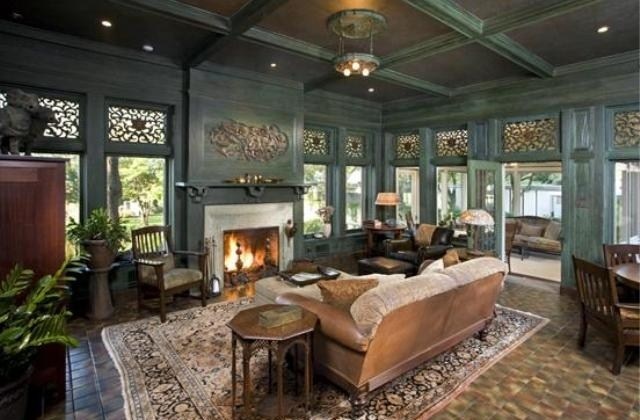 This 1906 home was built for department-store magnate Lawrence Donaldson. Designed by Kees and Colburn, the same architecture firm that designed Donaldson's downtown Minneapolis office and the Minneapolis Grain Exchange building, the house at one time contained 10 fireplaces, a three-level carriage house with terrazo-marble floors and an ahead-of-its-time central vacuum cleaning system. Over time, the original gold-leafed ceilings had been painted over, the custom-made Tiffany light fixtures were auctioned off, and the once-sprawling yard had been subdivided. 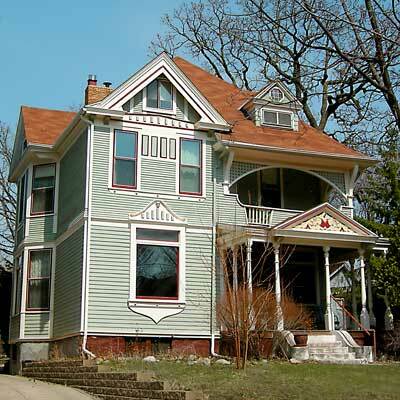 After a top-to-bottom restoration and more than 10 years of living in the home, Ron Beining and Mark Perrin have decided to sell. 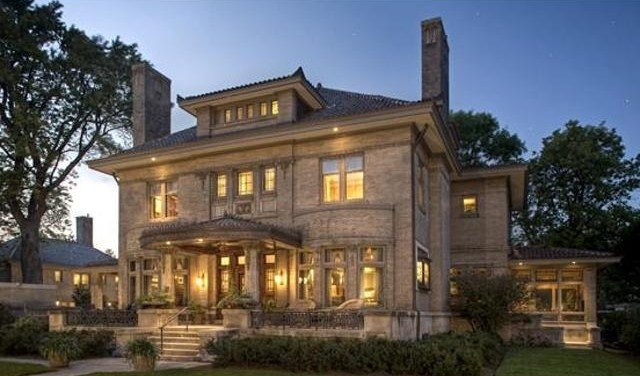 The 10,000-square-foot home at 1712 Mount Curve Avenue in Minneapolis, MLS # 4013426, is listed for a price of $6,500,000. Take a look at more amazing photos at our posted listing. Check out our own historic listing, the former Vasa Children's Home in Vasa, MN . 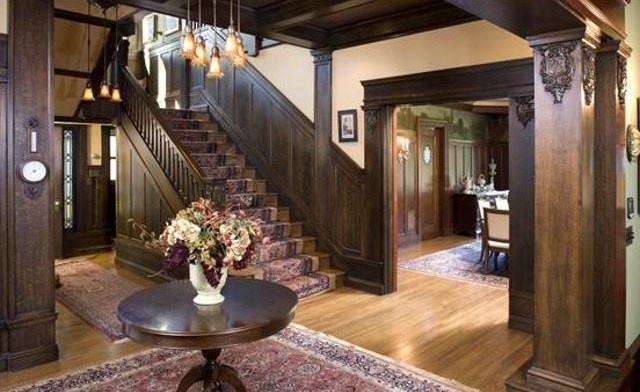 An amazing home that played a part in Minnesota history is for sale in Vasa, MN. The Barker & Hedges Team with Re/Max Results, a leader in the Twin Cities real estate market, is offering this exquisitely restored home that once served as Lutheran Social Services Vasa Children’s Home. Located at 15251 Old Children’s Home Road in Vasa, Minnesota, this home was built in 1899. For 27 years, this house was the dormitory for the Vasa Children’s Home. From 1926 to 1968, the property was used for many purposes, including as grain storage for local farmers. In 1968 the home, remaining structures and land were purchased as a single family residence. 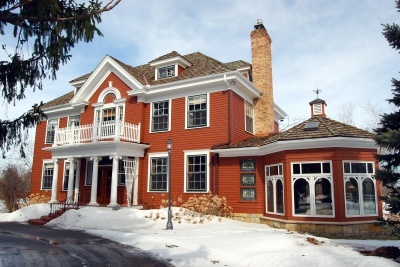 The previous owners began the work of restoring both soundness and beauty to the structures. Over the course of eight years, they dismantled deteriorating buildings and incorporated many of the recovered materials into renovations within the home. The end result is a seven bedroom, three bathroom home with a about 6,000-square-feet of interior space and perched on about 34½ acres of land. 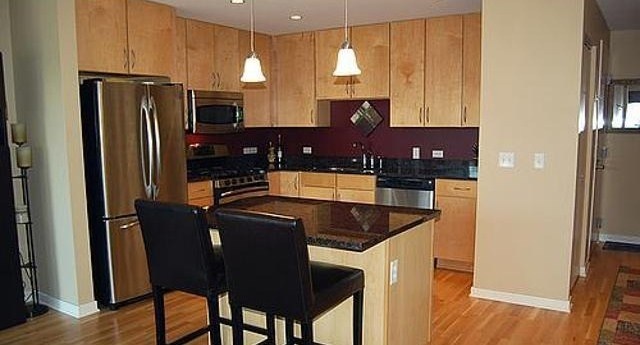 This condo located at 929 Portland Avenue is in the Central community of Minneapolis MN. 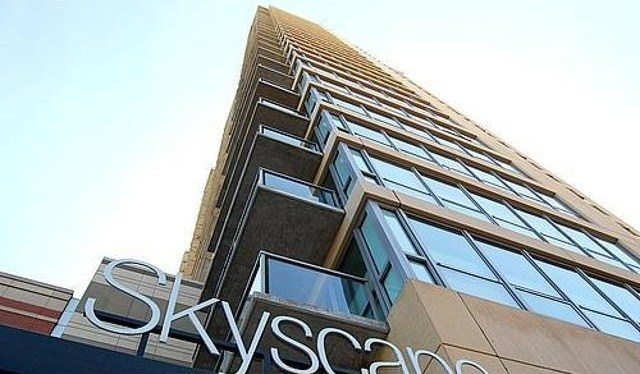 This rare, beautiful unit available in Skyscape was built in 2006. It has 2 bedrooms, 1 bathroom, and 800-square-feet of space. This urban high-rise features a gourmet kitchen, hardwood floors throughout, and countless windows to complete the modern feel of this beautiful home! 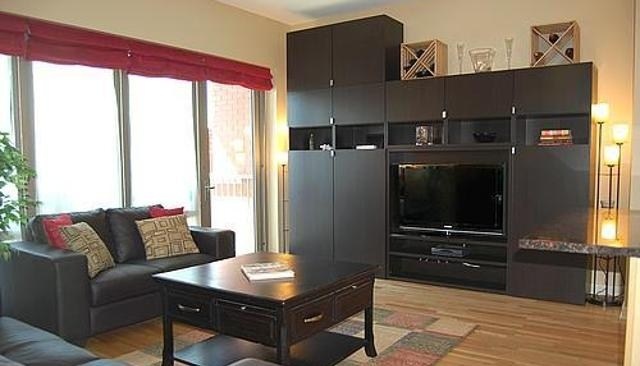 The condo also features a large master bedroom with his/her closet and luxury master bathroom. In a coveted location, this home could be yours for just $174,900!